Is MacBook Pro Data Recovery Possible? Hi everyone, my MacBook Pro (17") powered off in a sudden some hours ago. When I rebooted it I realized all of my 15 GB folders and files that stored in my MacBook Pro hard drive called DATA were lost. I did not have a backup too. These files are very valuable to me. Is there any way to recover the lost folders and files? I will appreciate it very much if any of you can tell me how. Best regards. You are wondering how to recover data that has already lost from your MacBook Pro. I’ll show you a simple solution here since you do not have any backup of the lost data. The truth of data loss issue is that your lost files have not removed by system immediately. They are just inaccessible on your Macbook pro until new files overwrite the space they occupied. This means your deleted files are still there and you can easily retrieve them with MacBook Pro data recovery software. This safe and easy-to-use tool performs MacBook Pro recovery in an effective and efficient way. 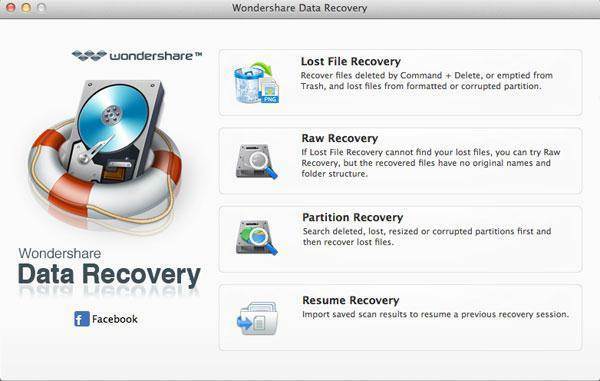 You can download the trial version of Wondershare Data Recovery from below. 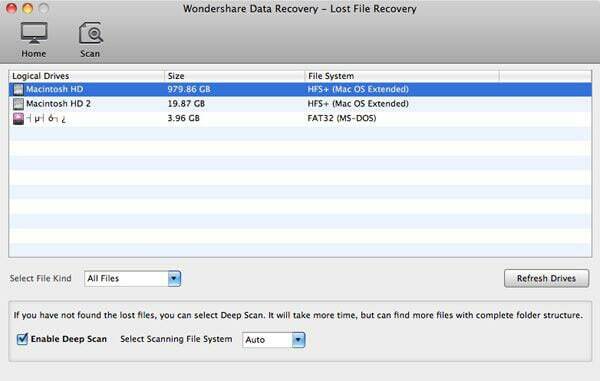 Here I humbly recommend Wondershare Data Recovery for Mac for you. This application is able to recover all files that have been deleted or lost from your MacBook Pro, including videos, images, audio files, emails, document files, etc. This tool will simply scan your Ma	cBook Pro volume and retrieve all lost, formatted, deleted and corrupted files from it. You’ll get an interface as the image below, which lists all available recovery options with instructions. To recover deleted, formatted or lost data from your MacBook Pro, you can take “Lost File Recovery” as a try. Note: Please do not install the application on volume that your files were lost from. The program will now list all volumes/partitions on your MacBook Pro. You just need to select the right one and click “Scan” to search for lost files. As you can see in the program window, you have several options to choose, such as “Select File Type”, “Enable Deep Scan” and “Select Scanning File System”. You can make the decision as you wish. “Enable Deep Scan” is useful when your data was lost because of formatting. Note: If you are going to recover external storage device lost data with your MacBook Pro, please make sure that it can be well-connected. After the scan, all found contents will be shown in folders in the program window. You can check how many files you will be able to recover with original file names. Then you just need to select these files you need and hit “Recover” button to retrieve them. You’ll be required to select a destination to keep them then. Just select a new volume to save them so as to avoid data overwritten. You can come to an official service center to get your MacBook Pro fixed. Before that, you can pull your MacBook Pro SSD out and connected with another Mac. If it was nicely connected with that Mac, the data will be read. 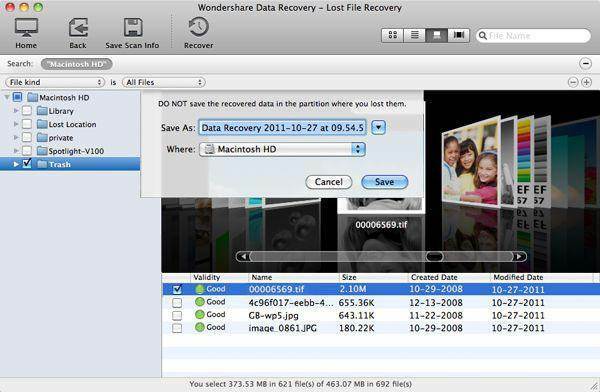 But if no data was read, you can also try Wondershare Data Recovery on that Mac to recover data from MacBook Pro hard drive too.